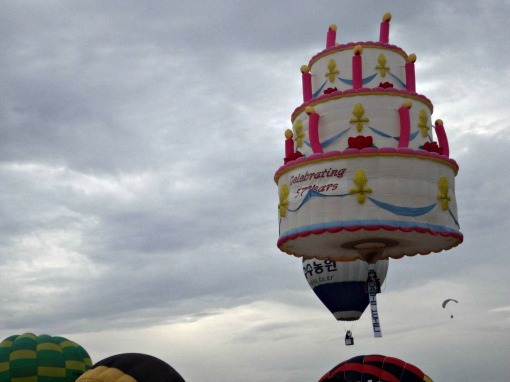 Visitors who have attended past Hot Air Balloon Festivals in Clark have discovered ways to avoid some of the problems that plagued this popular event in the past. Programs can be found on the public service web site www.ClarkPhilippines.com which also offers information on convenient hot air balloon packages to help visitors make the most of their visits to attend this fiesta. This year visitors can avoid the long lines at the gate to purchase an admission ticket by taking advantage of a special Hot Air Balloon package. One of the most popular convenience packages is the Hot Air Balloon excursion tour that includes the admission ticket, a round-trip shuttle bus from Manila and lunch at the Clark Wine Center down the road from the fiesta site. The lifestyle in Clark is usually quiet and laidback. So when thousands of visitors descend on this Freeport city, services and infrastructure support are strained. Hotel accommodation for example cannot cope up with demand. Smart visitors avoid the weekend crowd and attend on Thursday and Friday. While in Clark, visitors often take the opportunity to enjoy the stress-free lifestyle by staying in a resort that offers spacious outdoor amenities. One popular choice is the lake/beach resort called Clearwater Resort located 10 minutes down the road from the Hot Air Balloon site. Visitors can call (632) 633-1566 or 0916-428-3579 for reservations. For more assistance in matters to do with the 18th Philippines Hot Air Balloon Festival in Clark, you can call this hot line: 0917-826-8790. Yats International Leisure Clark owns and operates several leisure and tourism establishments in Philippines Clark Freeport Zone. Well regarded by Manila food and wine lovers for its fine dining Yats Restaurant located in Mimosa Golf Estate in Clark and the large wine shop called Clark Wine Center which offers a spectacular selection of fine vintage wines, Yats gives visitors a sample of the Clark lifestyle, something that Manila residents as well as tourists from crowded cities around Asia can truly enjoy.